The most common dispute between a landlord and former tenant is the withholding of some or all of a security deposit. This article will highlight the laws governing security deposits in residential tenancies. It is important for a landlord to understand the intent of such a deposit. Under the law, the landlord holds the deposit as security in the event of a default by the tenant. However, until such default occurs, the deposit remains the property of the tenant, and the landlord has a duty to hold it and to account for it. The amount of the deposit that a landlord may hold is limited by statute and possibly local ordinance. Therefore, the landlord must be aware of any local laws affecting the landlord/tenant relationship. Generally, a landlord may collect the first month’s rent, plus two or three months’ rent, depending on whether the unit is furnished or unfurnished. Many leases and rental agreements require the tenant to pay, as part of a security deposit “last month’s rent”. This is an ambiguous term and could lead to possible disputes at the end of the tenancy. Many tenants believe that such a provision means that they do not have to pay the last month’s rent when they move out. However, if the rent has increased over time, the landlord may contend that the tenant still owes the difference between the “last month’s rent” paid at the inception of the tenancy and the current monthly rent at the end of the tenancy. If the tenant lived in the unit for many years, this dispute can be significant as the rent may have doubled or tripled during the tenancy. used was a “form” that the landlord didn’t actually write. the landlord. Therefore, the landlord must be aware of local laws that may apply in this situation. Restoring, replacing or returning personal property if authorized by the lease, other than because of normal wear and tear. A landlord can only withhold those amounts from the deposit that are reasonably necessary for these purposes. Also, a deposit can never be “non-refundable”, irrespective of any term in the lease to the contrary. In addition, the landlord must provide copies of receipts for any third party repairs which justify a deduction from the security deposit. b. If a third person did the work, the landlord must provide copies of the person’s or business’ invoice or receipt. The landlord must provide the person’s or business’ name, address, and telephone number on the invoice or receipt, or in the itemized statement. situation (2), the landlord must include the name, address and telephone number of the person or business that is supplying the services or materials. Within 14 calendar days after completing the repairs or receiving the invoice or receipt, the landlord must provide to the tenant a correct itemized statement, the invoices and receipts, and any refund to which the tenant are entitled. The landlord is not required to send the tenant copies of invoices or receipts, or a good faith estimate, if the repairs or cleaning cost less than $125 or if the tenant signs a written waiver of his/her right to receive them. The waiver is effective only if signed by the tenant at the time of or after a notice to terminate the lease or three-day notice is given, or no earlier than 60 days prior to the expiration of a fixed term lease. Also, it is important to keep in mind that some courts will only allow a landlord to keep such portion of the deposit so as to compensate the landlord for damages taking into account the remaining useful life of the thing damaged, such as worn carpeting etc. E. Sale of the Building. If a landlord sells the building to a new owner, with respect to security deposits held, the landlord must do one of two things: the landlord can either transfer the deposits to the new landlord or refund the security deposits to the tenant following the sale. The selling landlord may make itemized deductions for the purposes allowed by law before the transfer or refund, but the landlord must provide the tenant with a written itemization. (see above.) Also, the selling landlord must notify the tenant in writing that their deposits are being transferred to the new owner. Part 2 of this article will cover issues related to moveout inspections, specific examples of deductions and legal proceedings concerning security deposits. The foregoing is intended for general information purposes only. Specific legal questions should be directed towards your attorney. 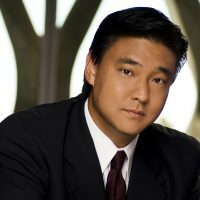 Craig S. Sunada may be reached at (310) 544-7161 and craig@sunadalawfirm.com.